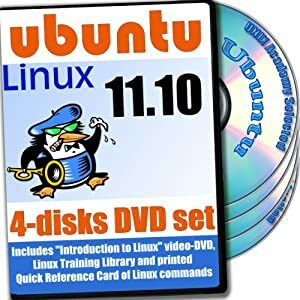 Linux Mint 12 "Lisa" or Ubuntu 11.10 Oneiric Ocelot? I told you the Linux world moves fast. Only a few days after I wrote my article, A Look at Popular Linux Distributions, Linux Mint 12 was released. There had been much hype about what Mint had planned to do to improve the user experience of Gnome version 3. On other distros that have deployed Gnome 3, such as Fedora 16 and OpenSUSE 12, the drastic change in the Gnome interface from the 2.x version was a shock to everyone's system. Gnome 3 won't run on a computer with a video card that isn't up to snuff. It has what appears to be a menu panel, but it doesn't seem to be customizable without a lot of learning. Ubuntu and Mint are arguably the most popular Linux distributions right now, and I think, for good reason. They look great, are easy to use, and are very stable. And both have come up with different solutions to the Gnome 3 problem. 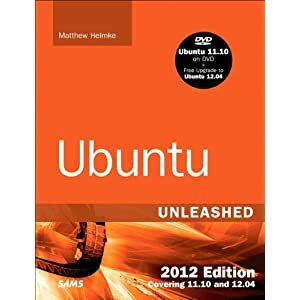 Ubuntu turned their back on Gnome 3 and developed the Unity desktop, which is similar to Gnome 3 in some ways, and perhaps equally hated by the community. However, it does appear to run more readily on older video hardware. Like the other Gnome 3 distros, Ubuntu also provides a Gnome Classic mode, that looks like Gnome 2.x, but lacks the customization tools that 2.x users were so fond of. Mint 12 went in a different direction and embraced Gnome 3, providing the Mint Gnome Shell Extensions (MGSE). The shell extensions add functionality on top of Gnome 3, which Mint has used to bring back some of the look and feel of Gnome 2.x. For those who dislike Gnome 3, MGSE may help you, in that it provides a more traditional menu, similar to previous versions of Mint, while still providing a Gnome 3 launcher, and it does pretty up that pitch black Gnome 3 menu bar. Mint 12 also includes the MATE desktop, which is a fork of Gnome 2.x. In between MGSE and MATE, they also provide a Gnome Classic mode. It's all a bit confusing. I tested Mint 12 and Ubuntu 11.10 on an older laptop at home, and a fairly decent desktop at work. Ubuntu runs flawlessly on both. I can't say I love the Unity interface, OK I hate it, so I've got Ubuntu running in Gnome Classic mode. The default color scheme in Ubuntu's classic mode was a little bugged up, so I had to learn how to straighten it out a bit (I'm talking about the funny colored blocks in the panel). Aside from that, I'm happy with Ubuntu in classic mode. Mint on the other hand, in Gnome 3 simply doesn't work on my laptop at home (no surprise, none of the Gnome 3 distros ran on my laptop without falling back to classic mode), but I was really surprised that MATE doesn't run right either. The menu panels crash on me if you even think about clicking on them. Maybe it'll take them some time to work out the bugs. So that leaves classic mode again. Well, Mint's classic mode look absolutely beautiful. I'll give them that! On my desktop, all three Mint modes work fine. MGSE is at least a moderate improvement over Gnome 3, classic mode looks great, and MATE, well, the default looks aren't great, but luckily the good old Gnome 2.x appearance applet is available so you can go theme tweak crazy. Personally, I don't love Ubuntu's Unity, nor Mint's Gnome 3 extensions, so I'm left now running Gnome Classic mode on both. As such, they look and feel very similar, and they're based on a lot of the same code (you actually update from some of the same repositories). So which to choose? I've got to give Ubuntu points for the fact that it runs fine on all my hardware. The Unity interface is something I could eventually get used to, but the concern is that the rest of the industry is going with Gnome 3. In that, I give Mint points for being the only distro to date to deliver significant improvements to Gnome 3. However, I gotta ding Mint for failing in two out of their three modes on my laptop. If you really want to embrace Gnome 3, and you've got the hardware, maybe Mint is for you. Even if your hardware is sub-par, Mint in classic mode, like I said, is beautiful, and appears very stable. 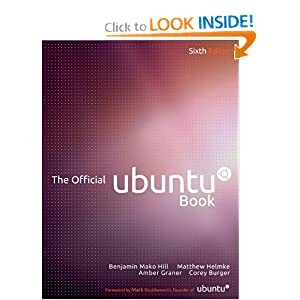 But, as has been true for quite some time, I gotta call Ubuntu the best over all. It hasn't given me a lick of trouble yet (funny colors in the panel aside). Please understand the difference between gnome 3 and gnome shell. ubuntu 11.10 is running gnome 3 compared to ubuntu 11.04 gnome 2.x.Both unity and gnome-shell runs under gnome3 on oneiric. gnome shell is heavily uses java script. both are having problems with *latest* hardware drivers. personally i love gnome shell on usability and hate unity for same. unity has a very nice feature called global menu which is being ported to gnome shell as an extension. ATI : catalyst broken, gallium does work. NVIDIA : proprietary drivers does the work. SANDY BRIDGE HD : sna is buggy but still under development. others does. Thanks for that, I've fixed the text accordingly! I have embraced the Unity desktop in Ubuntu. I think it is the best improvement that Ubuntu has seen. Linux is fairly good, but I personally am in love with Ubuntu. I've tested a lot of Linux distros now, and I've come back to Ubuntu. And although I love love 10.10 Maverick Meerkat, I've bit the bullet and am now using 11.10. I am however, still flipping back and forth between Unity, Xfce, and Gnome Fallback mode. I was fed-up with unity and the slow boot and shutdown.. I'm back to Meerkat..